Restorative Practices Aotearoa (RPA) is the professional association representing the growing number of New Zealand providers of Restorative Justice and Restorative Practices. Since its inception RPA has established a strong and credible base for the development of quality restorative practices services. We have been involved with all facets of restorative justice and practices both prior to our incorporation and since. RPA's mission is to foster, promote and support high quality restorative practices and services that are relevant and meaningful across diverse cultures and have the potential to enhance the lives of individuals and communities. RPA will continue to develop and enhance its range of services within the Justice sector, as well as extending its field of operations more comprehensively into other sectors such as education, environment and health. Mike Hinton is the General Manager of RPA, after previously being Chairperson of the same organisation. He has been working as a restorative justice facilitator for 15 years. He was instrumental in the implementation of restorative justice services in one of the largest courts in New Zealand, the Manakau District Court, as well as servicing courts in Papakura, Pukekohe and the Auckland District Court. He recently featured in a documentary about restorative justice in his community, produced by Maori Television, New Zealand. Before becoming involved in restorative justice Mike spent 20 years in the military. Chris is an experienced senior executive with experience in central government and in the private sector. As former government agency Deputy Director and General Manager, he has overseen risk and audit portfolios, had responsibility for corporate functions, including IT and Procurement, and enjoyed a broad career overseeing strategy and governance in a number of different organisations. Chris is currently a Director of Aegis Partners Limited, a specialist consultancy and thought leader in privacy, security, strategy and performance. George Ngatai received his Queens Service Medal in 2017 for his service to Maori and Community and is part of the Komiti Marae Orakei Trust working out of the Auckland District Court. He is also the Director of The Whanau Ora Community Clinic which is a wraparound service of 12 General Practice’s across Auckland, the Bay of Plenty and Christchurch. George has been involved in Restorative Justice for 5 years with Orakei and was recently appointed as the Chair of the Community/Iwi Panel in partnership with the New Zealand Police. He has governance experience through being a director for Counties Manukau District Health Board, is chair of the Maori Health Advisory Committee and is a member of Community Public Health Advisory and Audit Risk and Finance Committees. He is a director for Transitioning Out Aotearoa, and a director for BDO Marketing and Business Solutions. George has been part of Restorative Practices Aotearoa for 3 years. George was responsible for the Auckland and Northland Campus of Te Wananga o Aotearoa, which represented nearly a third of all enrolments for the organisation. He has expertise working with families, youth and truancy, Maori and Pacific and also in the area of organisational management and fiscal accountabilities. George supports Arthritis New Zealand, Conservation Volunteers NZ and White Ribbon as an ambassador. Tēnā koutou. Professionally, I have always been involved in the education in a number of roles in schools, or for the Ministry of Education. Currently, my role is Counsellor at Sacred Heart Girls’ College, New Plymouth where I provide counselling, restorative services and mediation for students, families and teachers. As a school we are three years into PB4L, a school-wide transformational change initiative promoting positive behaviour, a relational way of working together and using restorative practices to manage conflict and repair harm. Many of us have been utilising restorative practices in schools for well over a decade. In education I came to restorative practices by becoming involved in a Ministry of Education led project lead by Mark Corrigan, to reduce suspensions in schools. I was fortunate to be initiated into the restorative world by Marg Thorsborne. I was on the board of Taranaki Restorative Justice Trust as a Board member from 2007, completing my term in 2018. My involvement was due to my interest in the development of restorative practices in the education sector but also as a result of being a participant in a restorative conference. Additionally I have spent some time with Victim Support as a volunteer for the Onehunga region. I am in awe of the transformative work our facilitators do in bringing people together to restore relationships and repair harm. My hope is that restorative practices will become the norm and a common vernacular, be it in the Education sector, the Justice system and the community at large. Jacques brings 16 years of public service experience working for Te Puni Kōkiri Tāmaki Makaurau with whānau, hapu. iwi, and māori within the Auckland region and a strong supporter of the Kōhanga Reo movement. She was introduced to restorative justice in 2006 through 'Crossing Bridges Ngā Whare Waatea Marae' and has been actively involved in Restorative Justice since. She currently co-ordinates Te Whānau Awhina Marae Restorative Justice Programme/Te Pae Oranga (Iwi Community Panels) and facilitates Restorative Justice conferences and panels. Jacques is a registered Māori Caucus member and is on a journey of learning Te Reo me ōna Tikanga Māori with the support of Hoani Waititi Marae and her whānau. She encourages community practices that unite communities to support ngā whānau katoa. Jacques is committed to strengthening Kaupapa Maori practices within Restorative Justice Practice and building better restorative justice practices across Aotearoa. 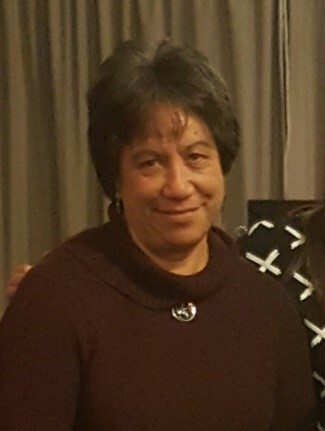 Her whānau principles and work ethic are underpinned by values of whānaungatanga, manākitanga, tautokotanga and rangatiratanga. 'He Iti, He Pounamu' - Though small, it is as solid as the greenstone. Nga mihi mahana I tenei wa. Ko Moera Brown ahau no Te Tairawhiti. Ko Rongowhakaata me Ngai tamanuhiri me te Aitanga a Mahaki oku iwi. I am a restorative justice facilitator currently working with Ngati Porou Runanga. I have been in this role for the last 4 years and I come from a policing background. I have a passion for this alternative option in the justice sector. I am particularly interested in how families can be healed through this process and how victims can he heard in a better way. Winifred is a qualified family court counsellor, professional supervisor and restorative justice facilitator. She was a preschool assistant and primary school teacher and has been involved in a voluntary capacity in governance/management roles in most of the organisations to which she has belonged. 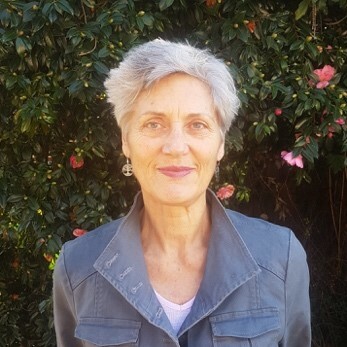 Since 1995, Winifred has been active in restorative justice work, starting out as a supervisor for members of the initial restorative justice group in Auckland. In 2001 she trained as a facilitator and has worked in three different provider groups. Thus, she has knowledge of the development of restorative justice as well as experience in how different provider groups respond to their different communities. In 2012 Winifred graduated with a PhD in restorative justice. In her research: “An appreciative inquiry into effective practice for Aotearoa/New Zealand facilitators” Winifred conducted focus groups with facilitators in the northern part of New Zealand. Her thesis reports the expertise developed by facilitators themselves and has been consulted internationally. Winifred has always hoped that RPA would develop into an organisation that had real clout with Ministry of Justice and Resolution Institute, in order to negotiate with government and other appropriate agencies to support our present work and encourage further development for the benefit of the community. Jen is a first generation Pakeha, born in Tauranga. Her mum Betty Venn and her dad Bob Jackson have family connections all over the world: France, Germany, Spain, Italy, Romania on her mum's side and Scotland, Wales and Ireland on her dad's side. Jen is the Manager of the Restorative Justice Otatutahi team. She has been in this role for fifteen years. What she loves about the role is the people and the new challenges. Jen is passionate about innovation, building capabilities and fostering radical collaborations and fearless conversations. Having attended the Porirua justice summit, Jen's focus for RPA is to encourage/challenge the government to do some transformational work. This is work that is already happening on the ground - challenging embedded racism and promoting trust. Jen's hope is to move towards a cross-party agreement about the way forward with justice in Aotearoa; build, encourage and support relationships between sectors (for example health and education) and challenge the binary language of 'victim and offender'. Phoenix (Ngāpuhi mē Tuwharetoa) is the Restorative Justice Coordinator / Kairuruku Paremata Whakahaumanu with Community Law Wellington & Hutt Valley’s Restorative Justice Team. Phoenix has been actively involved in Restorative Justice for 5 years prior with experience and previous Leadership roles with The Tamaiti Whangai Iwi Panel & JustSpeak. This led to Phoenix’s passion of advocating for people with marginalized voices. Phoenix has a background in the Education & Social Justice Sectors.